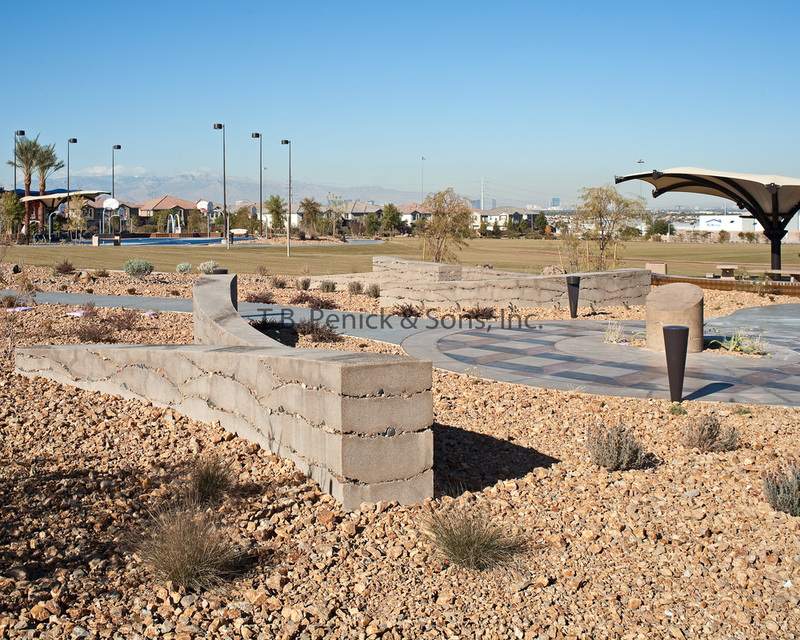 Reunion Trails is a 17-acre multi-recreational facility located in Henderson, NV. 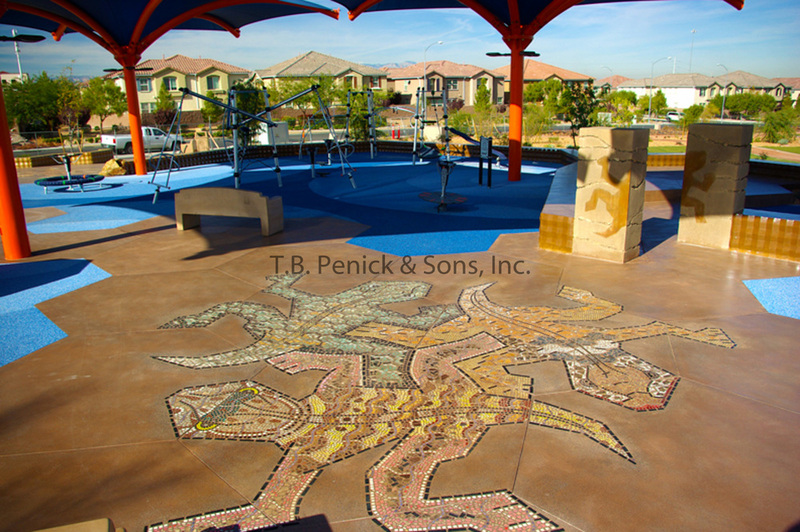 This project has about four acres of permanent park, trailhead facilities, picnic area, basketball court, a themed playground, and splash pad. 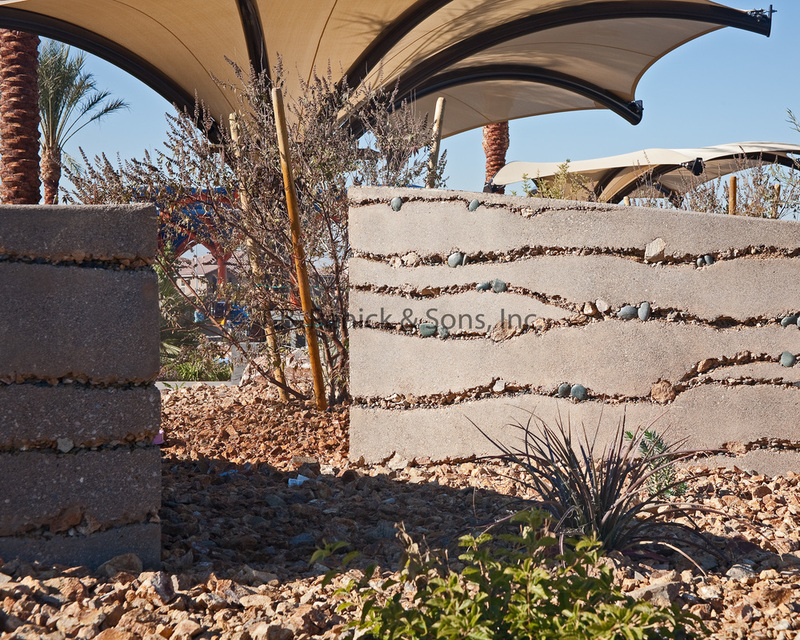 Reunion Trails, designed by Southwick Landscape Architects and the City of Henderson Department of Parks and Recreation is a highly stylized park, with sculptures and artistic embellishments based on the work of famed graphic artist MC Escher. 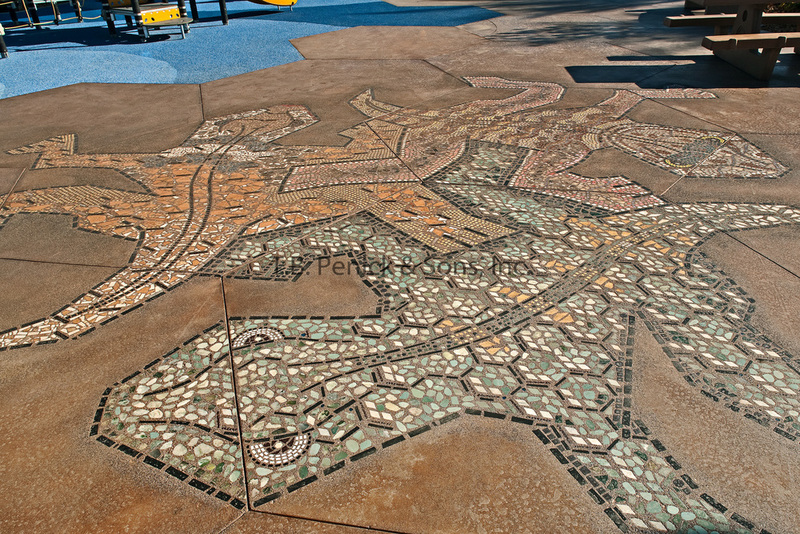 The project features ten thirteen foot long LithoMosaic® lizards for the picnic area. Tessellated patterns in the concrete echo Escher’s style and the same hexagonal pattern is integrated in the LithoMosaic through some of the tiles used. 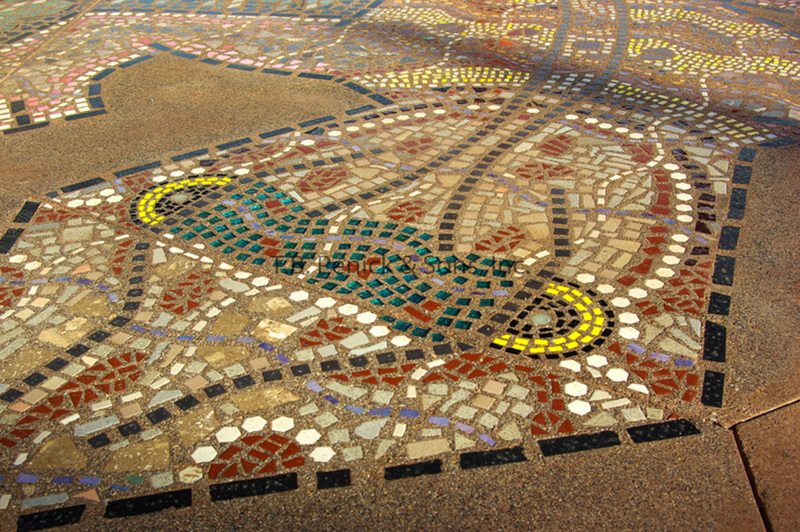 Three conjoined lizards are the centerpiece of the installation. 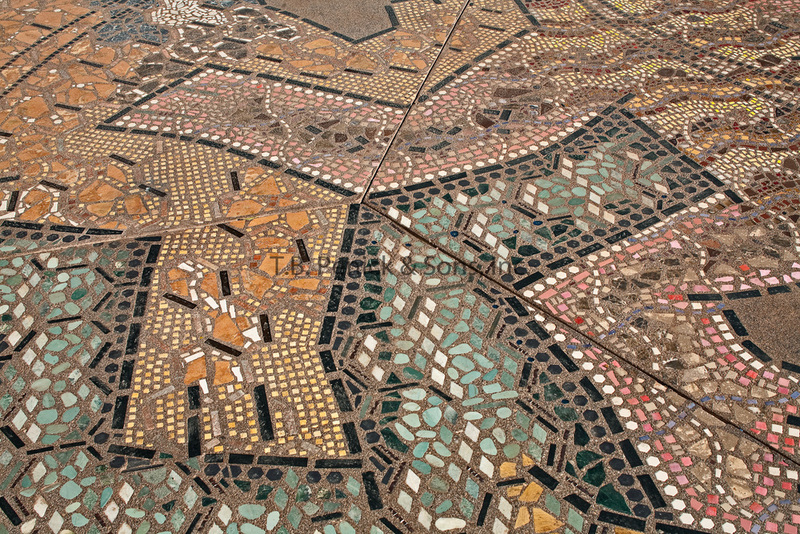 The hexagonal pattern and the LithoMosaics were challenging to install and required significant pre-planning and coordination of the crews. T.B. 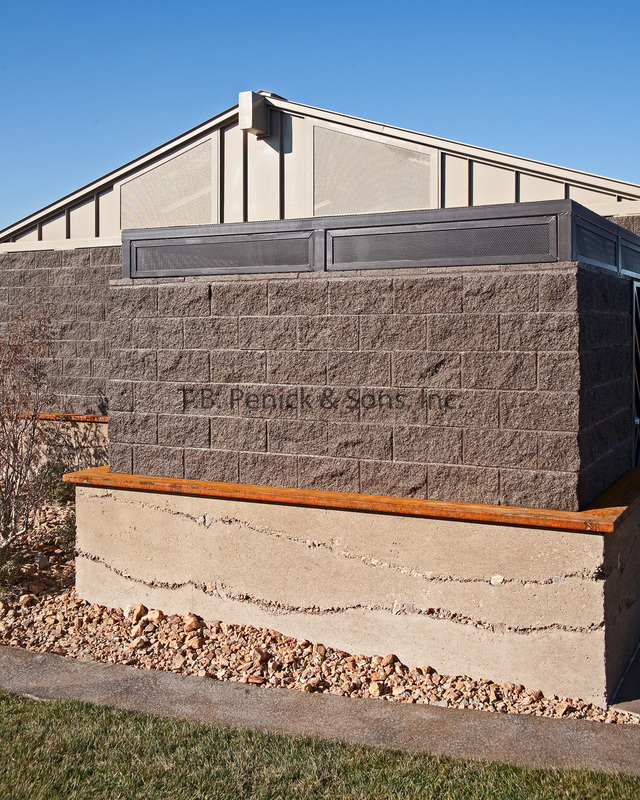 Penick also created “attic windows” in the concrete using Reactive Coloration and sawcutting in the entries. 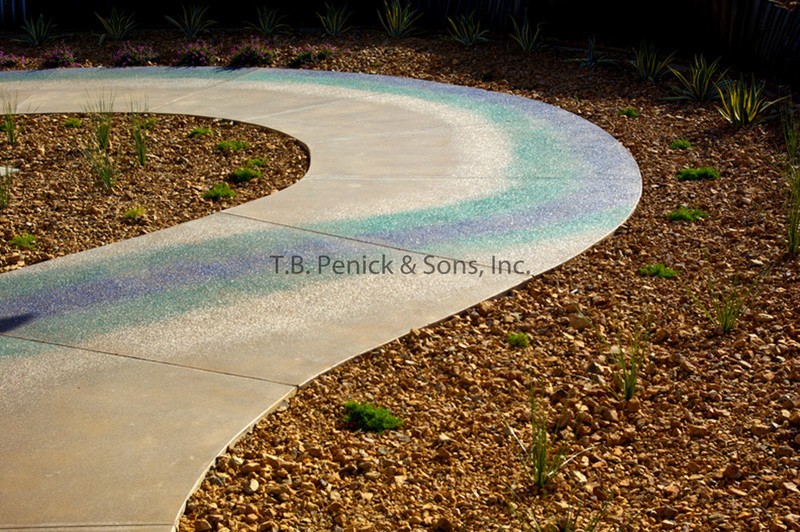 The majority of the flatwork features quarried stone finish, a cost-effective and durable finish. 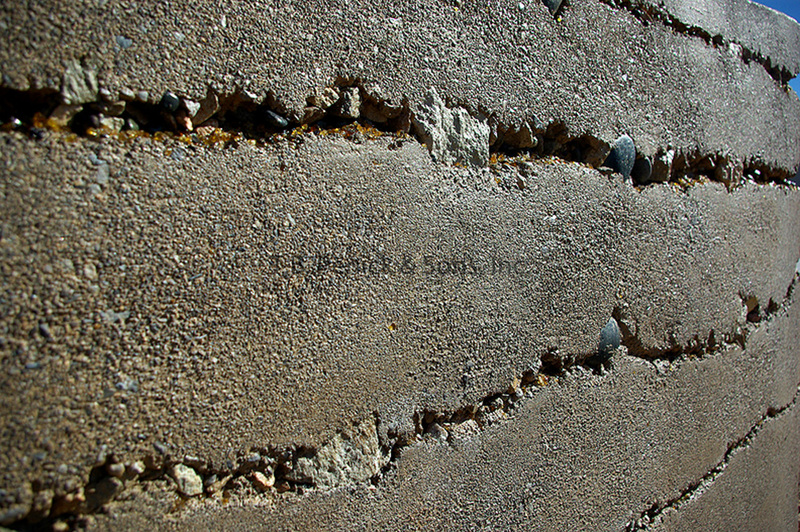 Sedimentary walls by T.B. Penick can be found by the meandering walks to main park, the two entries to the park, and the trailhead plaza. Lithocrete gradients in blue, green, and brown glass were poured to resemble a river. 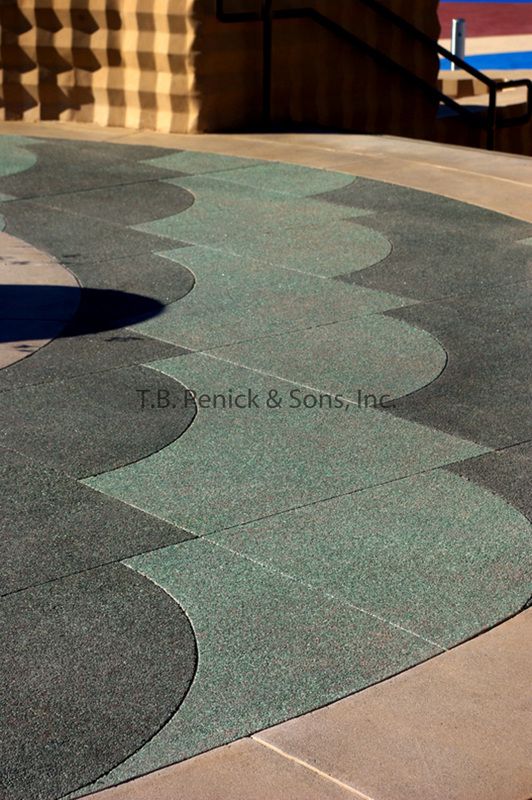 The park also features Lithocrete green glass circles in the paving. 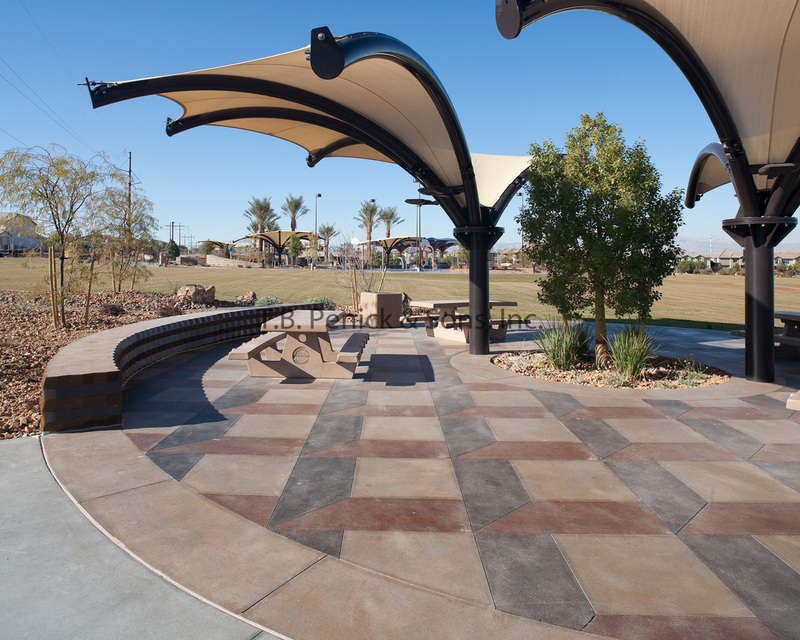 The meditative plaza set aside for yoga and meditation also features a labyrinth with a Lithocrete pixie dust finish.